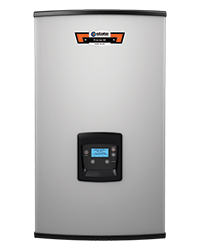 Find the right water heater! Register your water heater for ownership verification and product notifications. We’ve made it easy to access electronic versions of our most popular literature at your convenience. Learn more about what the new efficiency guidelines mean for State water heaters. State Water Heaters has a long history of supporting NASCAR. Our blog contains extensive coverage of the State racing partnership. When it comes to building durability into a product, nobody does it like State. In fact, we've tested our water heaters in some of the most hostile environments and under the toughest conditions to make sure they last longer and provide many more years of hot water. All the resources you need to spec any project. Find information on NAECA, mobile apps, technical training and more. Find information on mobile apps, Contractor Rewards, advertising tools and more.